Ezra has a deep passion for health and fitness and he has dedicated his whole life to this pursuit. Having captained both the under-16 and under-18 Victorian State AFL teams, he was drafted to Richmond in 1999 and played professional football at the highest level for 4 years. He transitioned into the fitness industry starting his own Personal Training business, which he successfully ran for 10 years in Melbourne, Sydney and Queensland. 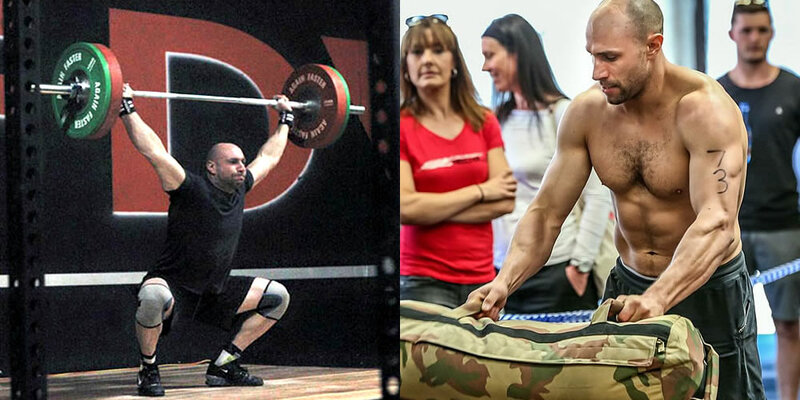 During this time, he continued to train and explore different sports, disciplines and training methods including athletics, running, football, soccer, basketball, body building and swimming, until he found CrossFit. It was what he had been looking for his whole life. Now, Ezra has fully committed himself to learning as much as possible about the methodology and principles of CrossFit through numerous courses, seminars, competing in competitions and networking with local CrossFit coaches and athletes. He is passionate and dedicated to becoming the best coach he can possibly be and running a successful community based affiliate. Coaching and mentoring clients to achieve things they never thought possible, improving their health and fitness whilst also improving their quality of life is extremely rewarding to him.